Frances Scott was 39 and living her best life when she got hip implants because of a birth defect. Since then, she's been trapped in a living hell. AUSTIN, Texas — Seven million people have some kind of medical device implanted in their bodies. A joint, a pump, a piece of wire or mesh. We expect that these devices undergo rigorous testing and approval. But the KVUE Defenders discovered the Food and Drug Administration does not require the same standards for medical devices as it does prescription drugs. The last ten years of Frances Scott’s life has left her teetering between loss and pain. Sharing this part of her life is not easy. “I stayed in shape. I ran, I did everything I was supposed to do,” Scott said in her backyard as tears streamed down her face. 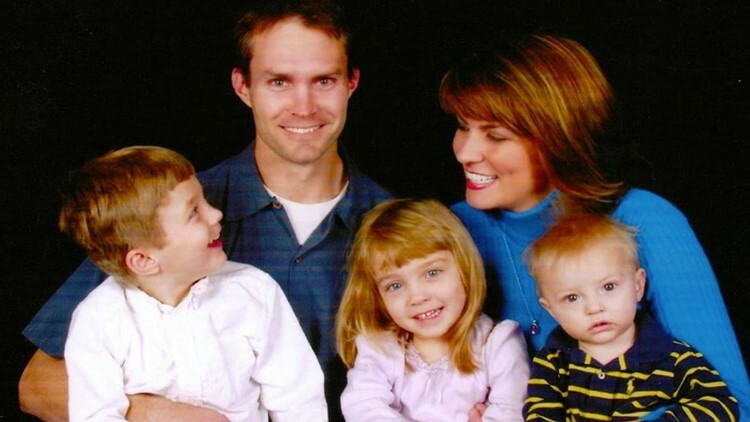 Once a successful television anchor in North Carolina, you may also recognize her from her FYI KVUE segments.She was an active mom in her 30s with a husband and three kids. They were building a good life. Frances Scott with her family when they were younger. Hip pain then took over. “(Doctors) said, ‘We think you were born without sockets and when you stood up to walk, the sockets formed in the wrong place,’” she recalled. 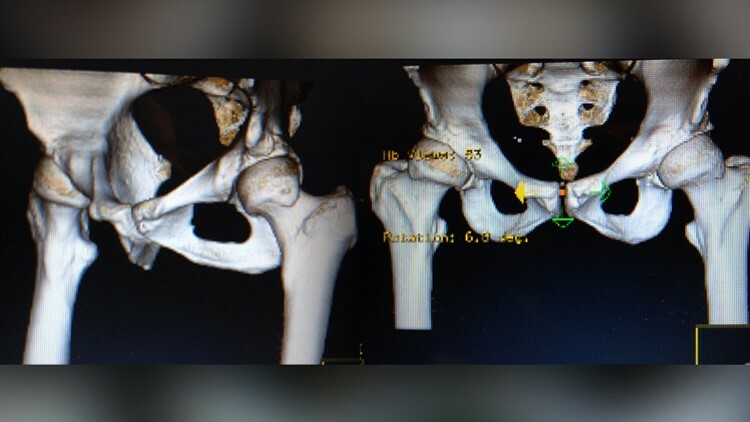 Doctors recommended a double hip replacement. This is what Frances Scott's hips looked like before a medical device was implanted inside her. She said her surgeon suggested the Pinnacle with Ultamet liner: A state of the art metal-on-metal joint made by Johnson and Johnson Depuy. It was a major surgery for a 39-year-old mom, but doctors said she’d be back on her feet in a few months. "I just never got out of pain," she said. It took a toll on her family. “I would say no part of it was normal,” said Skip Phillips, her husband. “I was trying to go back to work and I had all these oozing boils all over my face. It was really upsetting. That's when I started noticing the tinnitus, the hearing loss,” she said. “I couldn't figure out how to get back to work. It was terrifying,” she said. Frustrated, she searched for answers. But in the U.S., there is no medical device registry. “I can find out more about my child's car seat than I can find out about what's implanted in my body,” said Scott. She did find research from England that showed patients with the same implant were suffering from metal poisoning. "I kept wondering, but everyone I saw kept saying, ‘No. The (Pinnacle with Ultamet liner) is great. It’s a great hip. Nobody else is having problems. Your X-rays look good,’” Scott said. She began to feel helpless. “… They kept saying, ‘I don't know why you keep coming back because we can't help you.’ Then they stopped taking my appointments and I knew I was on my own," she recalled. She lost her job, had to sell her home and moved her family to Texas. “It's a tragedy,” said Mike Lanier, an attorney who does not represent Frances, but has successfully represented hundreds of people against the makers of metal hip replacements, including the Pinnacle with Ultamet liner and Johnson and Johnson Depuy. "I’ve represented hundreds of people who have had this defective implant in them and the experiences have had a wide range,” he said. “Some people have experienced everything from hearing loss or systemic loss as those metal ions or metal debris moves throughout the body. Some have experienced heart issues. Some have experienced memory issues. Most experience pain around the implant and a loss of muscle and ligaments,” he said. The head of Johnson and Johnson Depuy's development team warned company leaders of issues with metal-on-metal implants in 1997 before patients started getting Pinnacle with Ultamet liner implants. A memo filed in court shows "wear is a major problem" and metal on metal was a "bad engineering” design. CLICK HERE to read the memo. “The makers of this had full warning from their development team that this was not a product that was safe to put into people,” said Lanier. The FDA sent KVUE a statement saying in part that it is working to modernize the way new medical devices come to market and improve patient safety and performance. Medical devices are approved through two different processes: 510(k) or petition for premarket submission (PMA). The majority of medical devices are approved through the 510(k) process. The FDA guidelines state that a 510(k) should be submitted at least 90 days in advance. According to the FDA: "This allows FDA to determine whether the device is equivalent to a device already placed into one of the three classification categories. Thus, "new" devices (not in commercial distribution prior to May 28, 1976) that have not been classified can be properly identified. Specifically, medical device manufacturers are required to submit a premarket notification if they intend to introduce a device into commercial distribution for the first time or reintroduce a device that will be significantly changed or modified to the extent that its safety or effectiveness could be affected. Such change or modification could relate to the design, material, chemical composition, energy source, manufacturing process, or intended use." "Premarket approval (PMA) is the FDA process of scientific and regulatory review to evaluate the safety and effectiveness of Class III medical devices. Class III devices are those that support or sustain human life, are of substantial importance in preventing impairment of human health, or which present a potential, unreasonable risk of illness or injury. Due to the level of risk associated with Class III devices, FDA has determined that general and special controls alone are insufficient to assure the safety and effectiveness of Class III devices. Therefore, these devices require a premarket approval (PMA) application under section 515 of the FD&C Act in order to obtain marketing approval. Please note that some Class III preamendment devices may require a Class III 510(k). See the PMA Historical Background webpage for additional information." The FDA oversees all medical devices and drugs but the approval process for both is very different. Drugs have to undergo human trials. Most medical devices do not. Click here for a breakdown of how to FDA looks at medical devices. “So many of the doctors that we've put under oath about this were stunned to find out that the company never tested the device in people,” said Lanier. “The company tested the device in little machines called ‘simulators’ that did not simulate true human activity and never tested the effect that the debris would have on the human body. It's a tragedy." "I never even thought that something could be implanted in me that had never been tested in a human being,” said Frances. “Essentially we're just playing a game of wack a mole,” said FDA Director Dr. Jeff Shuren in a video from 2015 in response to device inspections. The FDA has known known for years that the approval-process for medical devices is a problem. “One device manufacturer can meet FDA requirements and still make a poor quality device,” Shuren said. Lanier says thousands of patients are paying the price. Johnson and Johnson Depuy faces more than 10,000 lawsuits across the United States. 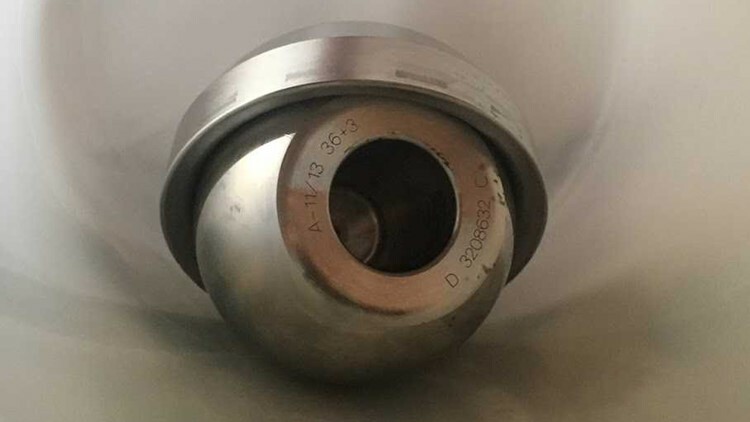 On Jan. 22, 2019, the company agreed to pay $120 million to resolve state attorneys general claims of deceptive marketing in metal-on-metal hip implants. Some of that money -- $8.5 million -- stayed in Texas. Those devices were pulled off the market in August 2013, two years after Scott got her metal-on-metal hips. “We were without our own consent made to be guinea pigs,” said Scott. Seven years after her first surgery, Scott finally found a doctor to remove her metal hips. 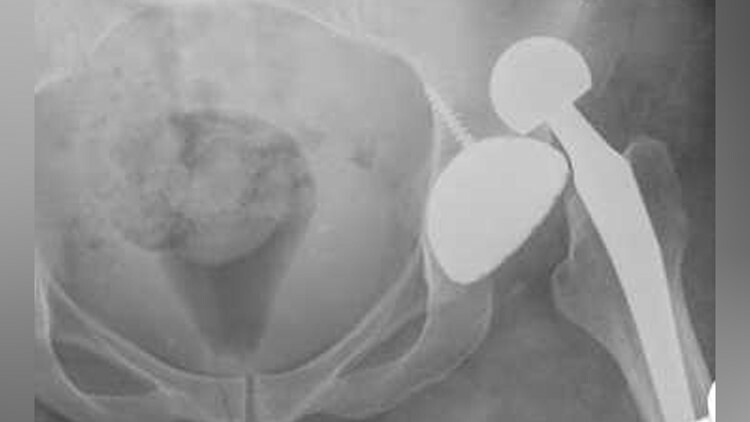 The metal-on-metal device that was implanted on Frances Scott's hips. “I would say about 80 percent of the symptoms that were really troubling me went away within weeks,” she said. But she said she still suffers from hearing and vision loss. And because the metal destroyed some of her tissue, she dislocated a hip last summer. Frances Scott's hip was dislocated after the surgery. Case 3:14-cv-03302-K Document1 Filed 09/12/14 Page 1of23 PagelD 1 UNITED STATES DISTRICT COURT NORTHERN DISTRICT OF TEXAS DALLAS DIVISION +s Barbra Phillips: § § Plaintiff, 8 CIVIL ACTION NO. 3:14-ev-3302 § vs. § MDL 2244 (Judge Kinkeade) 8 DEPUY ORTHOPAEDICS, INC., 5 JURY TRIAL DEMANDED DEPUY PRODUCTS, INC., DEPUY -§ INTERNATIONAL, LIMITED, § JOHNSON & JOHNSON SERVICES, § INC., JOHNSON & JOHNSON, INC.
“I'm not the worst case,” she said. For Frances’ family, time in her 40s is much different than she imagined. Her pain persists. By afternoon she is too often forced to sit. "What I grieve most you can't give me back,” said Frances. So she presses on with a greater purpose. “I want this fixed. I want the laws changed. I want this changed so that this can't happen to other people,” she said. We have no greater responsibility than to the patients who use our products, and we are confident the evidence presented at trial will show that the company acted appropriately and responsibly in the design and testing of ULTAMET® Metal-on-Metal. ULTAMET Metal-on-Metal is backed by a strong track record of clinical data showing reduced pain and restored mobility for patients suffering from chronic hip pain. We remain committed to the long-term defense of the allegations in these lawsuits. There is still no medical device registry – meaning no one place that stores the history of devices exists. When a device is removed from a person for medical reasons, that device is sent back to the manufacturer -- not the federal government -- to figure out why it failed. The FDA now has stricter requirements for metal-on-metal hips -- but there are currently no FDA-approved metal-on-metal hips on the market.